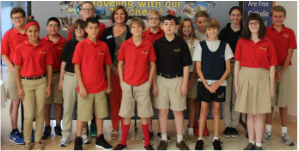 The student council assists the faculty, staff and elementary students with school-wide activities, help plan events and raise money for the yearly school field trip. The Student Council, which is comprised of students in grades 6 through 8, participate in service projects which exemplify social justice and Catholic social teaching by coordinating collections to support local community organizations, thrift shops, families in need, and food banks. 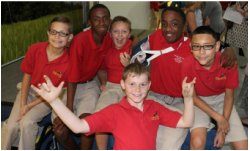 Student Council assists the elementary age students in participating in these events and drives.